Brian practices as a solicitor, working in the areas of Commercial and Corporate Law (buying or selling a business, incorporation, corporate structure, lending, and shareholder and partnership agreements); Wills/Estates, and Incapacity Planning (wills, powers of attorney, representation agreements, trusts, and probate); Real Estate Conveyancing (residential or commercial, including mortgages); and Debtor/Creditor Remedies. 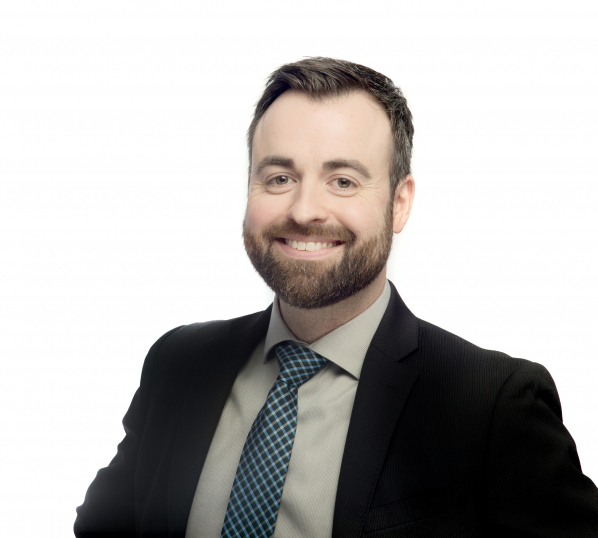 Brian joined Jones Emery Hargreaves Swan as an associate in 2016 after completing a judicial clerkship with the BC Supreme Court in Vancouver and the balance of his articles with our firm. He has been a resident of Victoria for most of his life, receiving his law degree from the University of Victoria. Prior to earning his law degree, Brian worked in hotel management, and his experience in hospitality has taught him a client-first approach to his practice. When not in the office, Brian likes to cook, travel, and spend time with his wife and daughter.